I Take My Android Phone For Granted Compared to iOS! "We love both Android and iOS, but the open nature of Android just means it can do things others just can't. 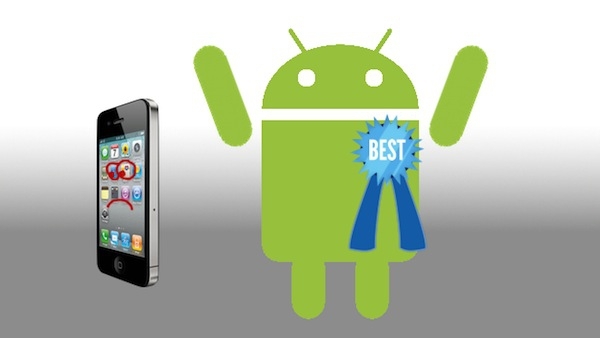 Here are our favorite Android apps and features that you won't find on its Apple-clad brethren." Lifehacker has an article up today highlighting 10 things that Android has over iOS, and as an Android enthusiast since early 2009, I'm a bit embarrassed to say that I forgot about most of these. Not forgot in the sense that I don't know they exist - forgot in the sense that I use them all and just assume they should be part of any premium Smartphone experience. While I might only use some of these (advanced automation features, removable storage) once in a blue moon, others (such as widget support, custom launchers and ROMs) are absolutely essential to me. Don't get me wrong, I own an iPhone - but only for the few apps that I don't have an Android equivalent (the iPhone has never been my daily driver). And these days, those apps are few and far between! So Androiders - what do you find essential on this list? And iOS users - what do you wish your OS had (Or what does your OS have that I should be insanely jealous of? )!